The 2nd edition of the DIY Motorcycle Maintenance Workshop for female bikers by TECH ‘N WHEELZ concluded on October 01, 2017. 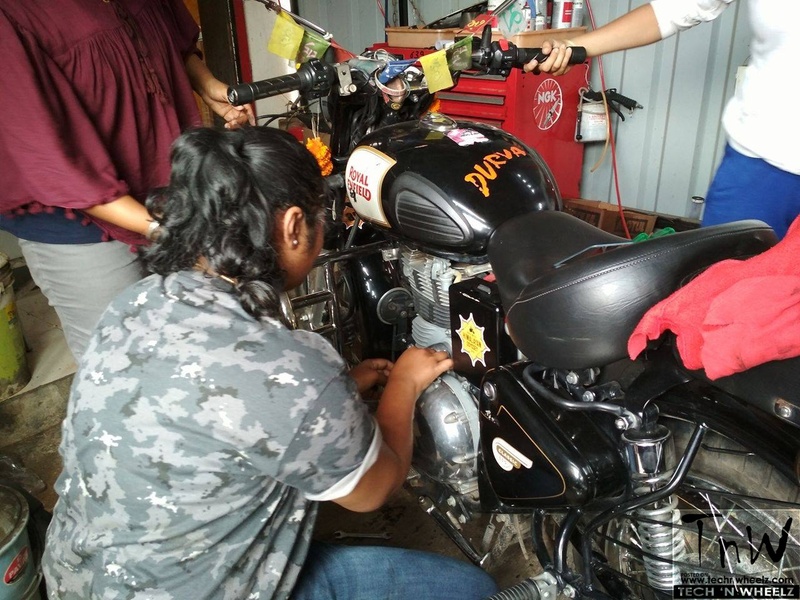 The workshop witnessed majority of participants from the ‘Bikerni Motorcycle Club’ — India’s first all-female motorcycle group. The enthusiasm of the participants is something that has to be really appreciate of. The daylong session was designed in a way that the riders can be confident and can complete any maintenance, service or repair work in case of an emergency and by acquiring new skills. “Attended this workshop held on this Sunday, I must say this was a great experience. First of all, thanks for the great idea for doing it exclusively for women! This workshop helped us all in a way wherein if we are stuck up anywhere in the middle. We won’t be helpless rather we could be a great help to ourselves as well as others if required. Coverage was great according to the time we had, and the explanation given was good as well. I request all my biker friends to attend one such workshops in order to really show your love to your bike!” , says Yashika Gupta, member of ‘The Bikerni’. “A nice platform to start with !! Good to be a part of this workshop”, says Rucha Mane who plans to step in the world of motorcycling very soon. The DIY Motorcycle Maintenance Workshop was organised at Spares On Demand, Chikali, Pune. The training was delivered by Chinmay Dangre, Motorcycle Expert and Technical Head of technwheelz.